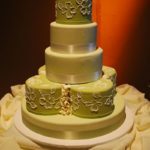 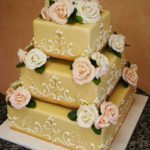 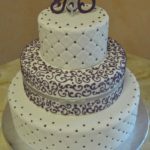 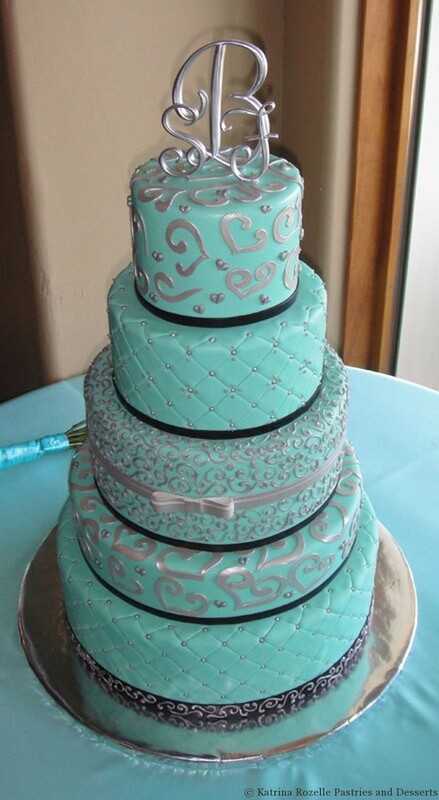 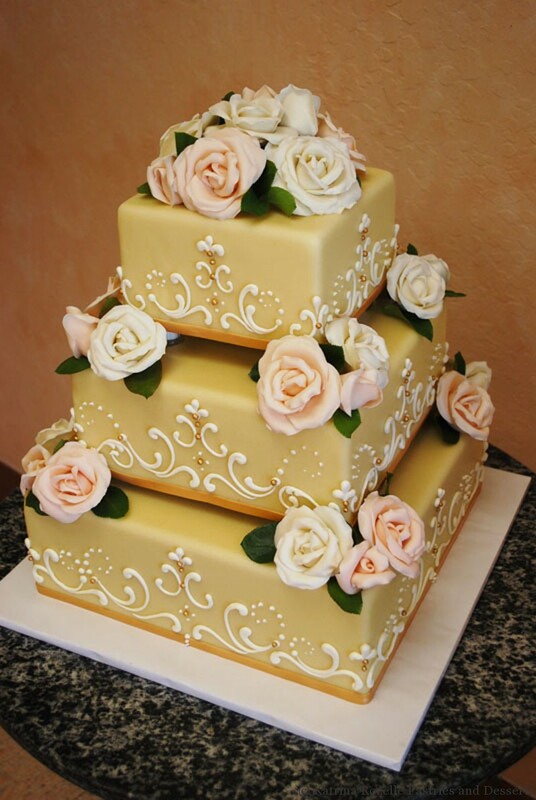 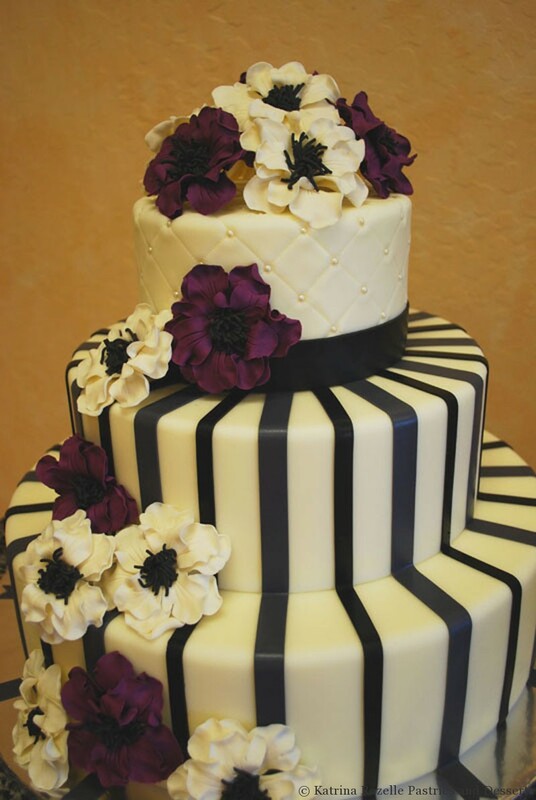 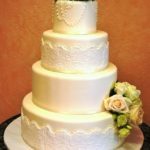 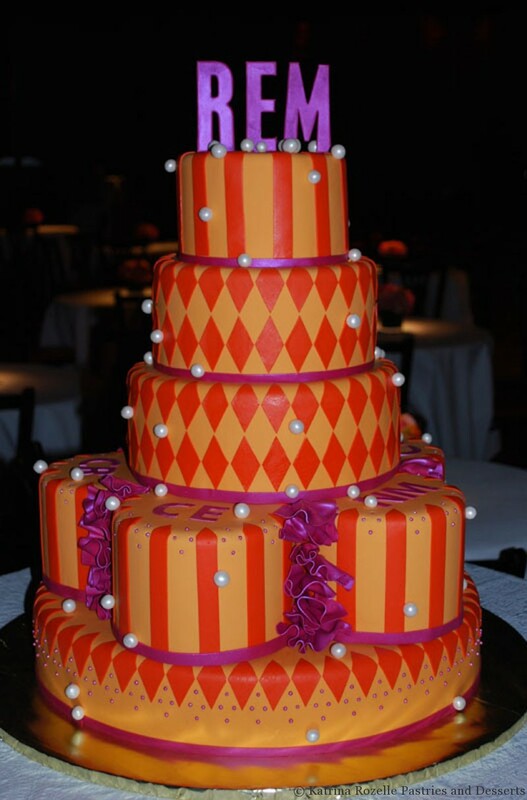 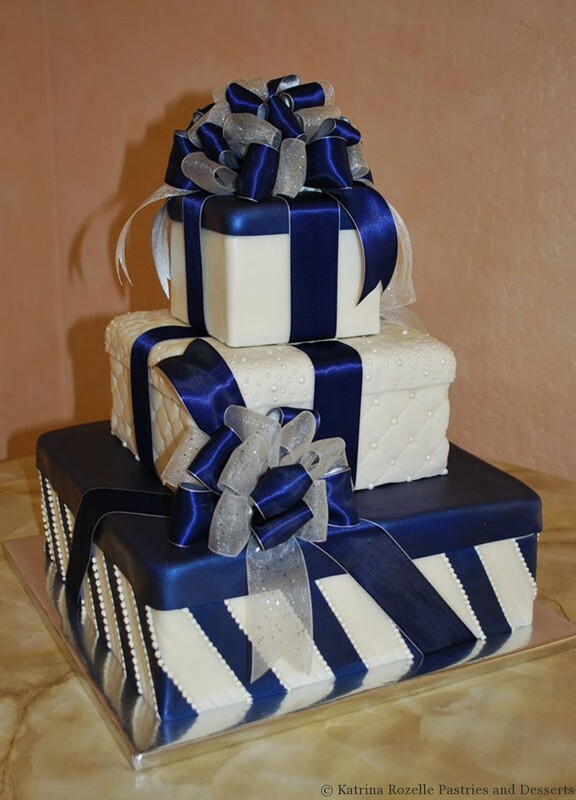 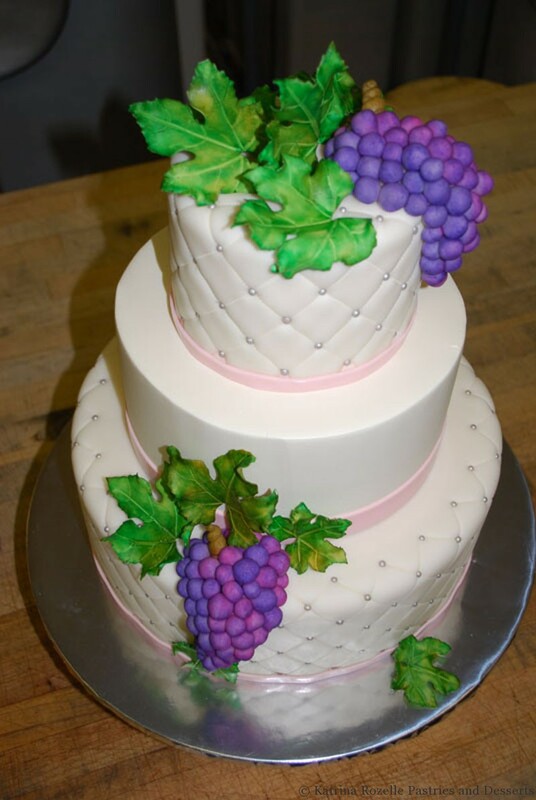 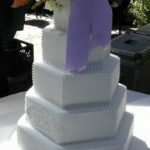 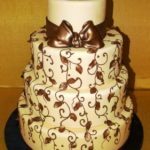 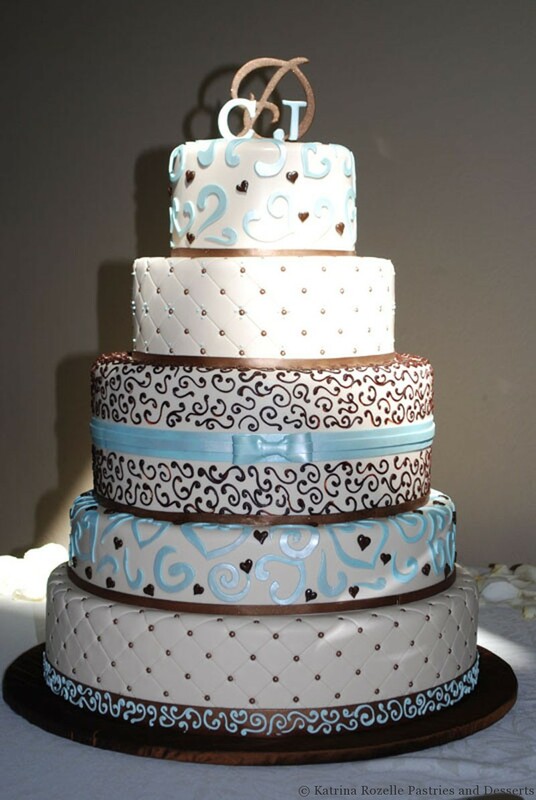 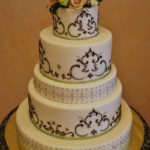 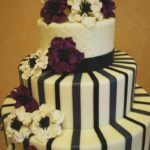 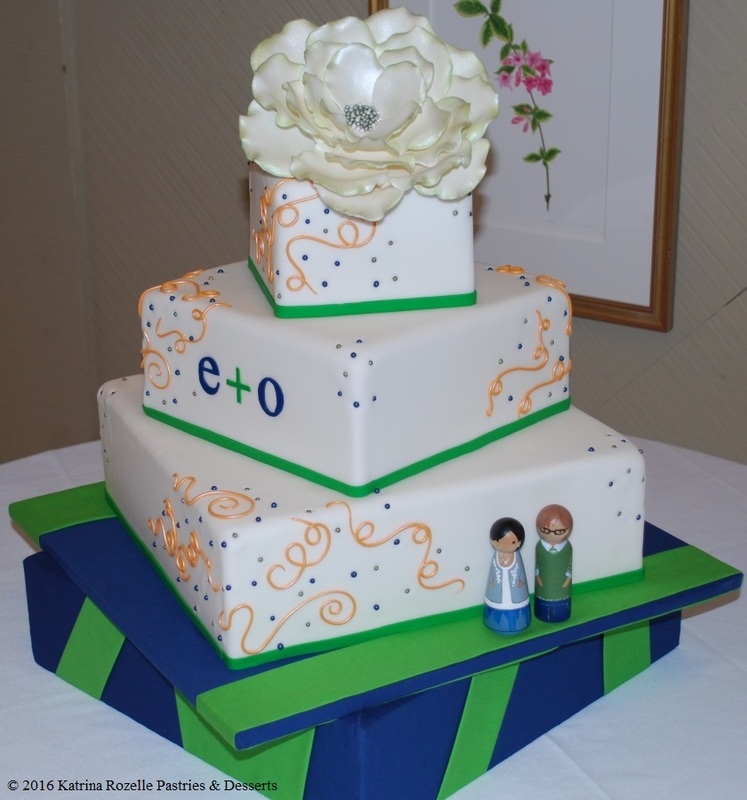 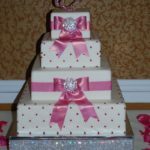 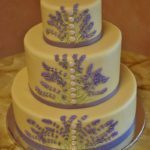 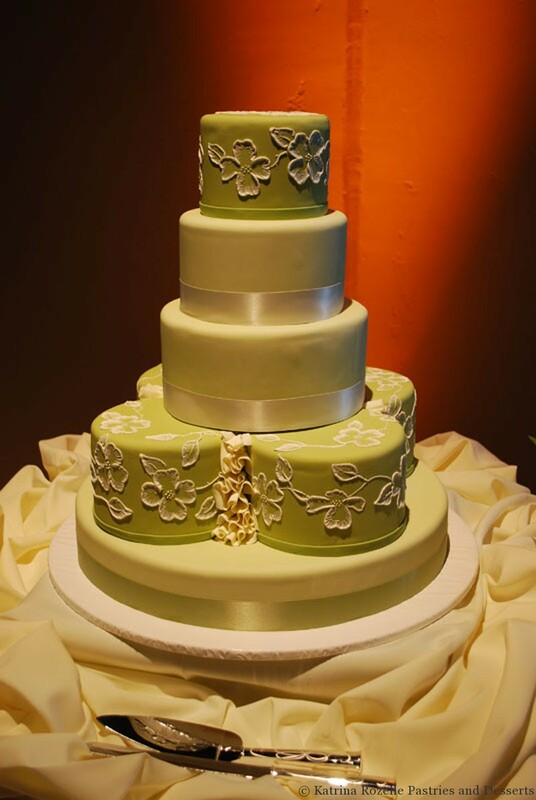 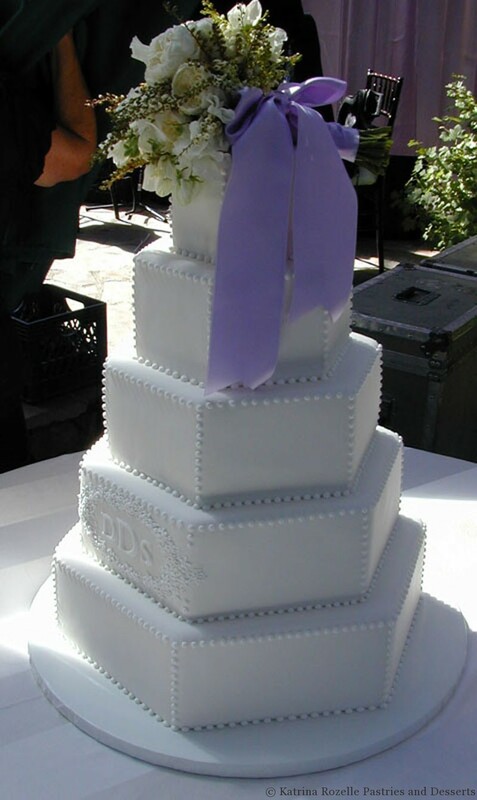 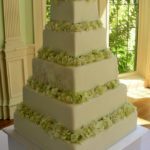 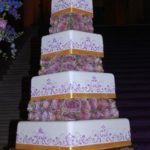 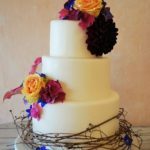 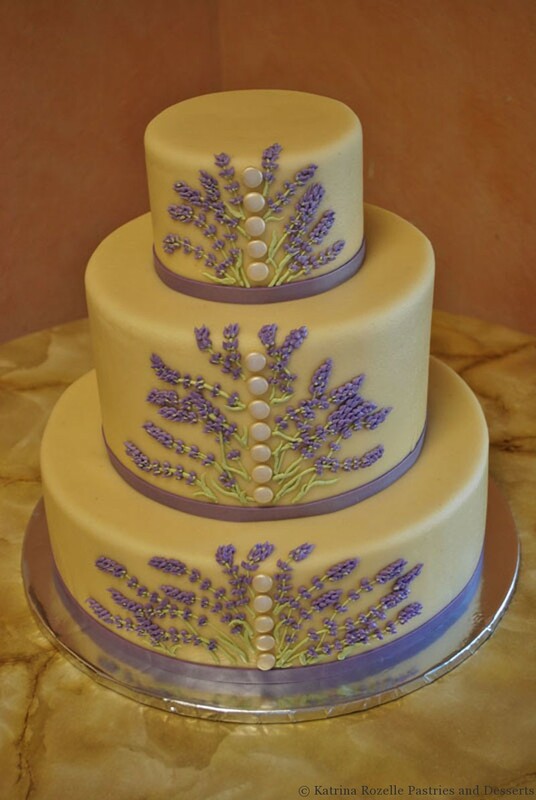 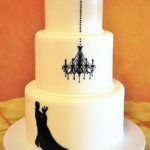 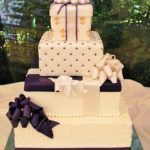 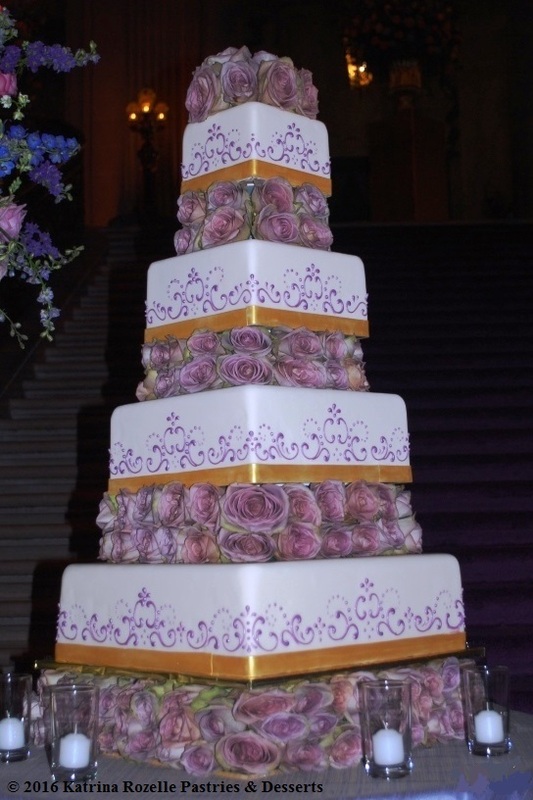 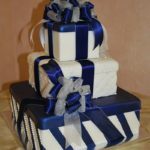 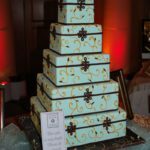 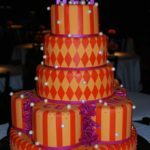 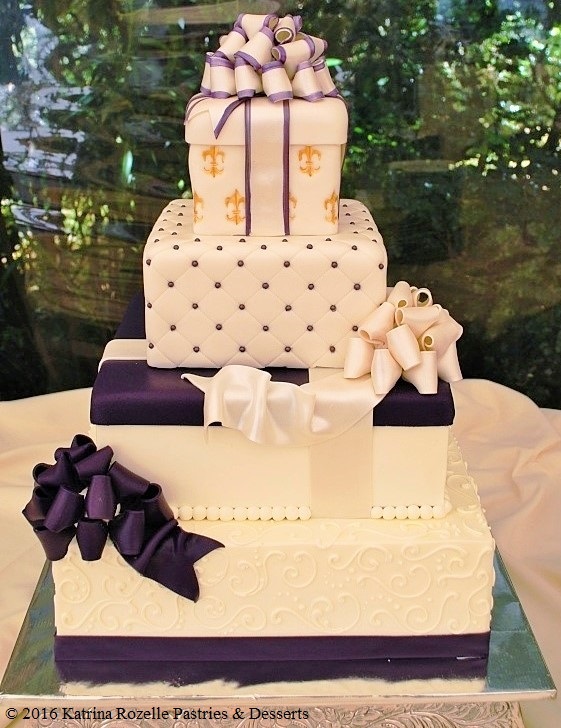 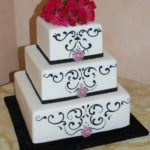 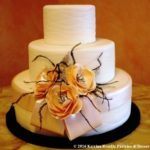 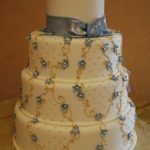 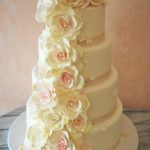 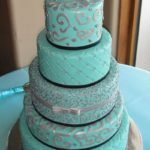 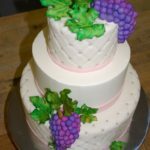 Fondant is a popular wedding cake finish, and it enables us to achieve special effects not possible with just buttercream, such as quilting. 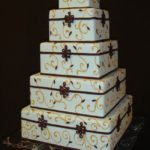 It has a smooth, porcelain-like look, and can be tinted in a variety of shades. 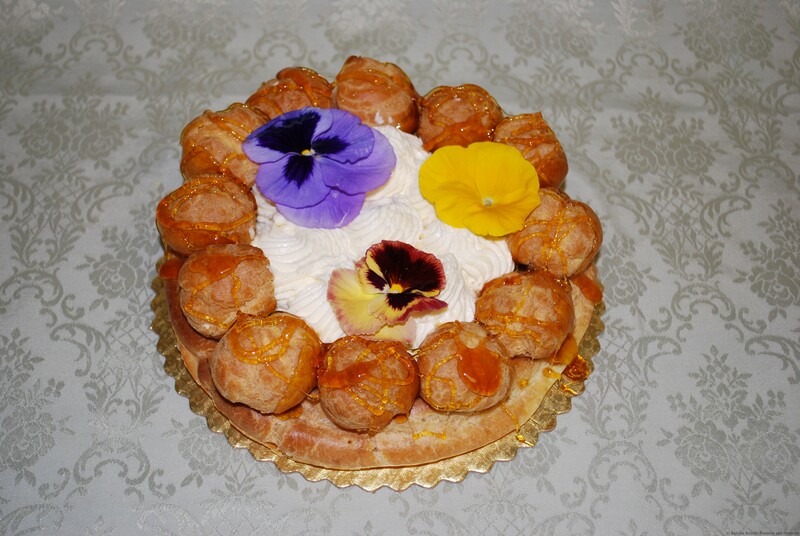 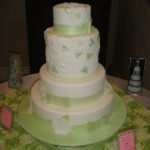 The taste of fondant is quite sweet, and a bit like a firm marshmallow. 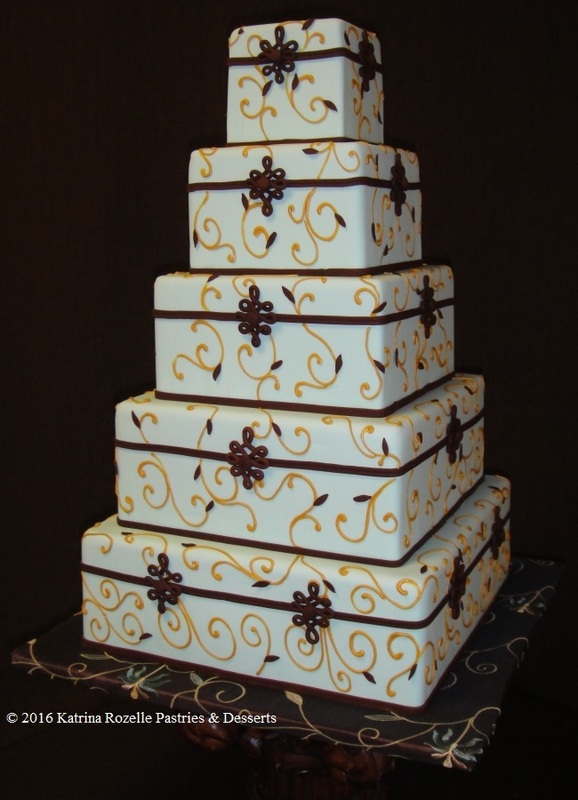 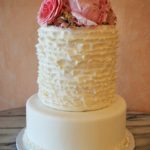 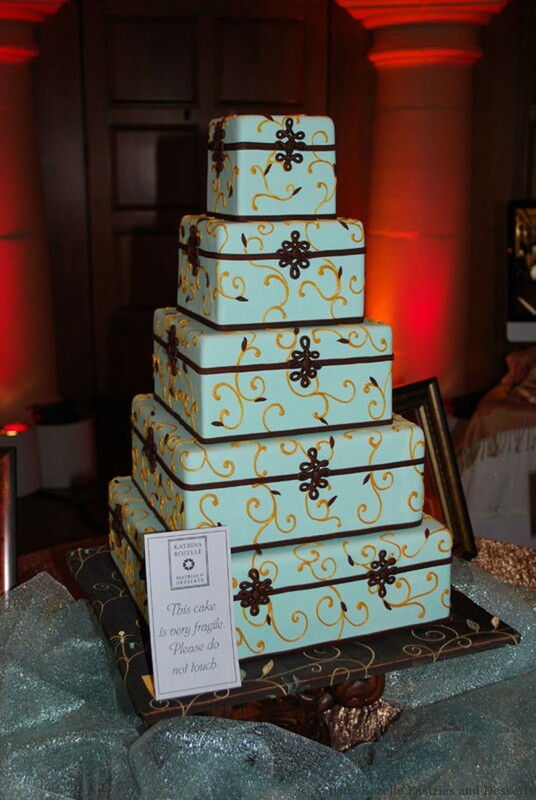 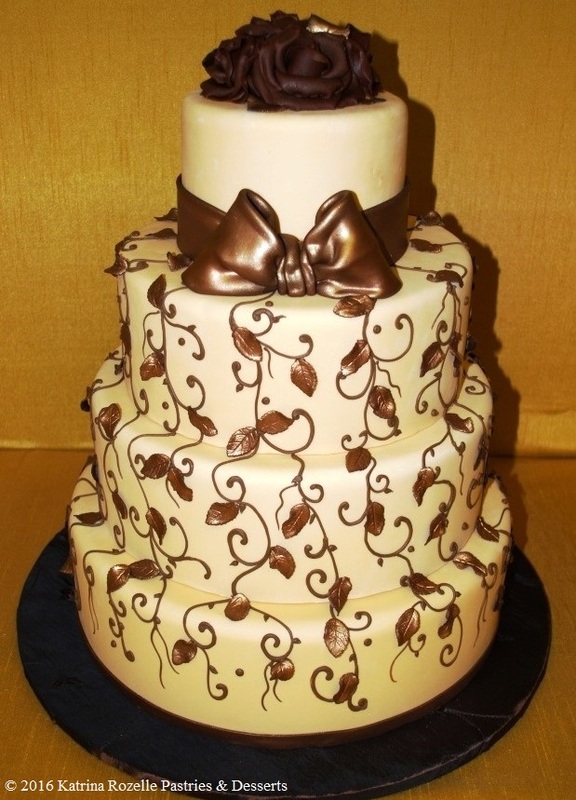 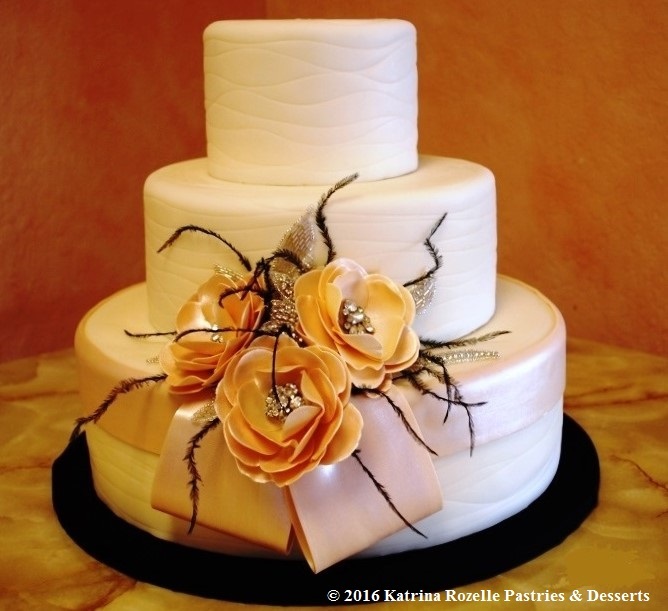 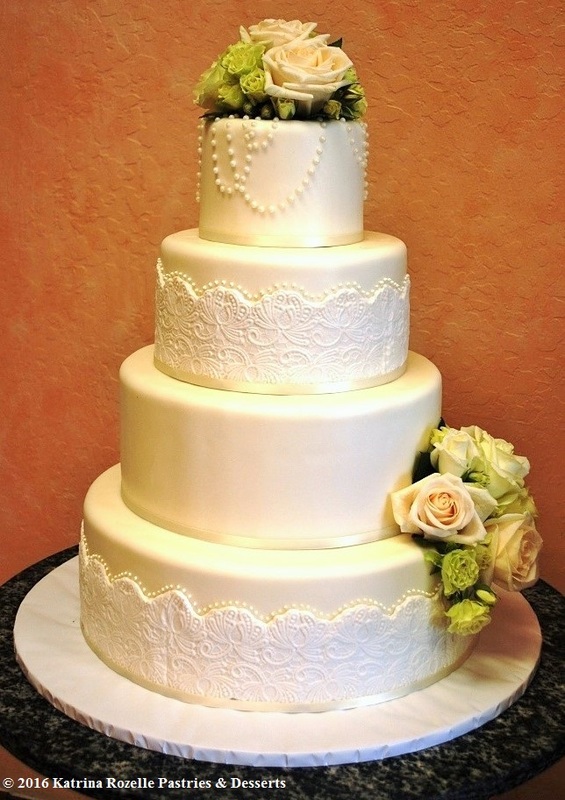 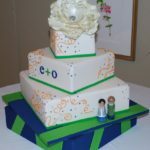 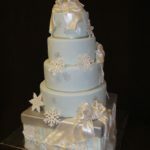 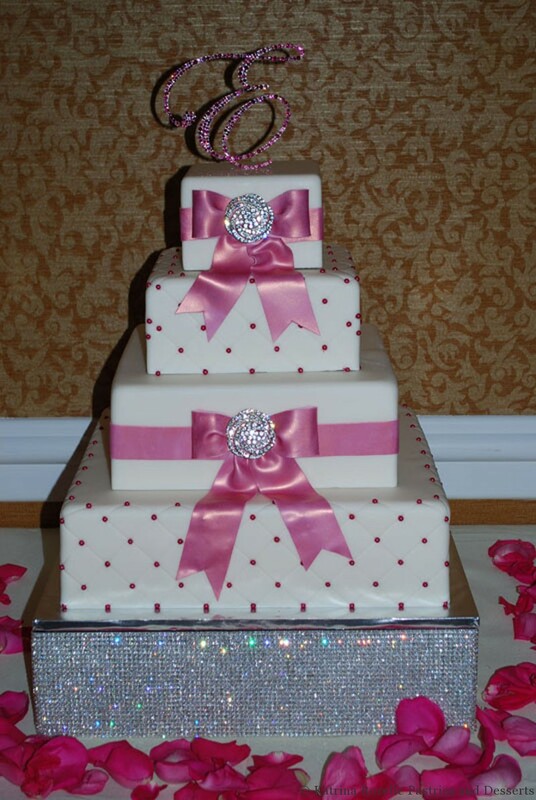 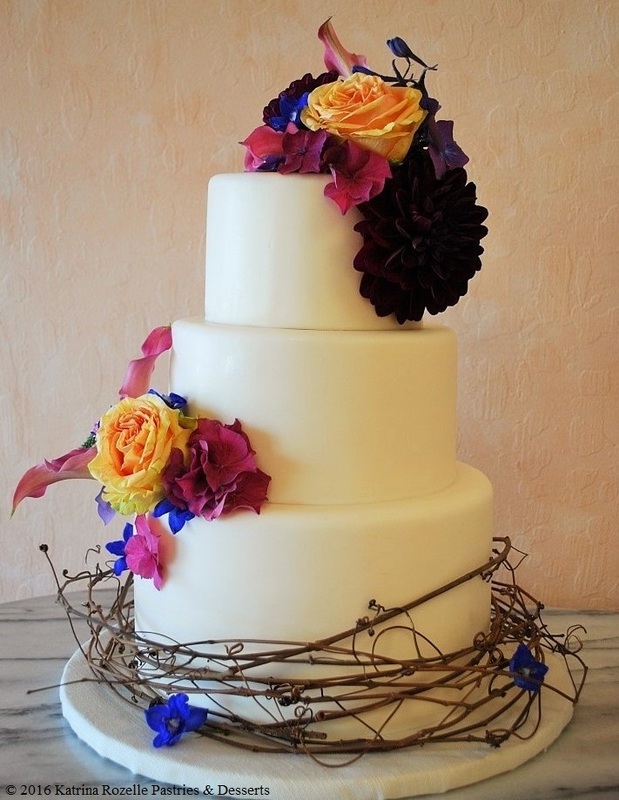 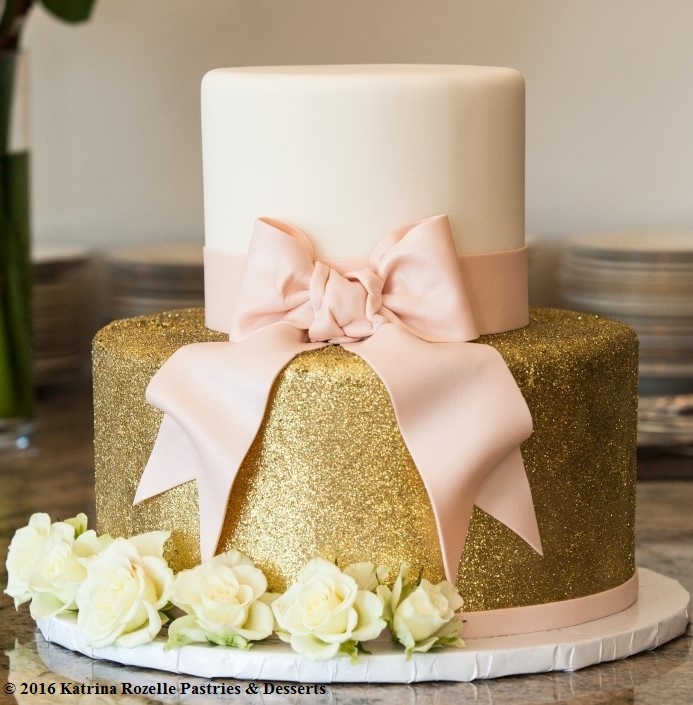 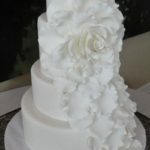 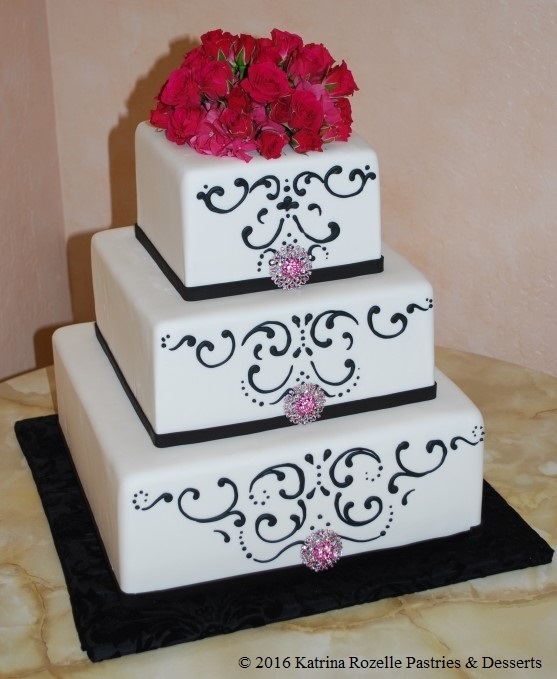 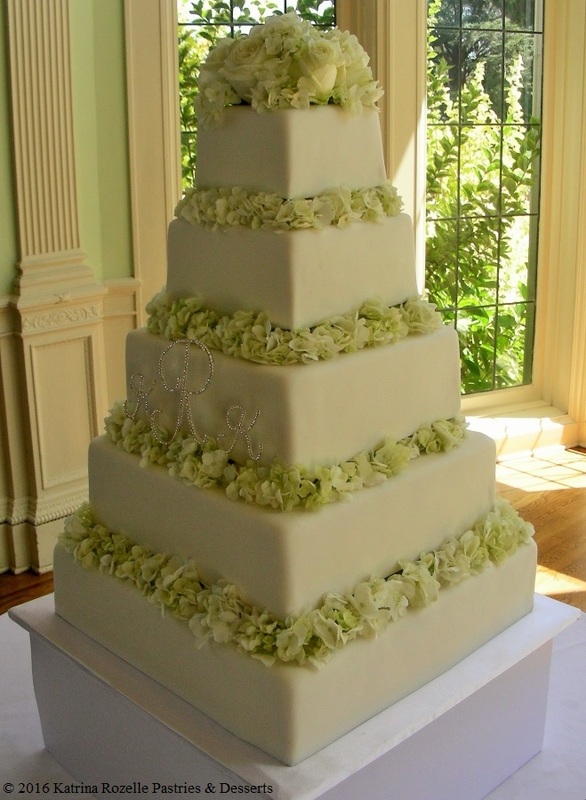 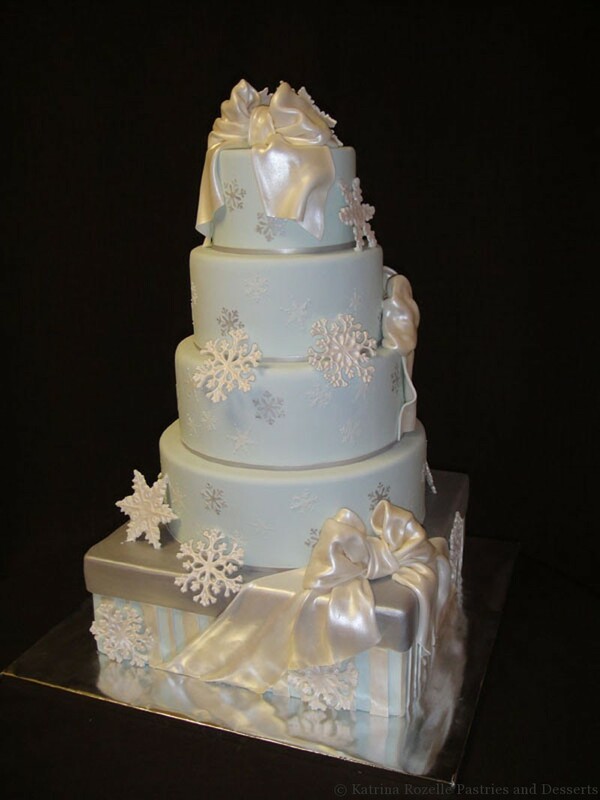 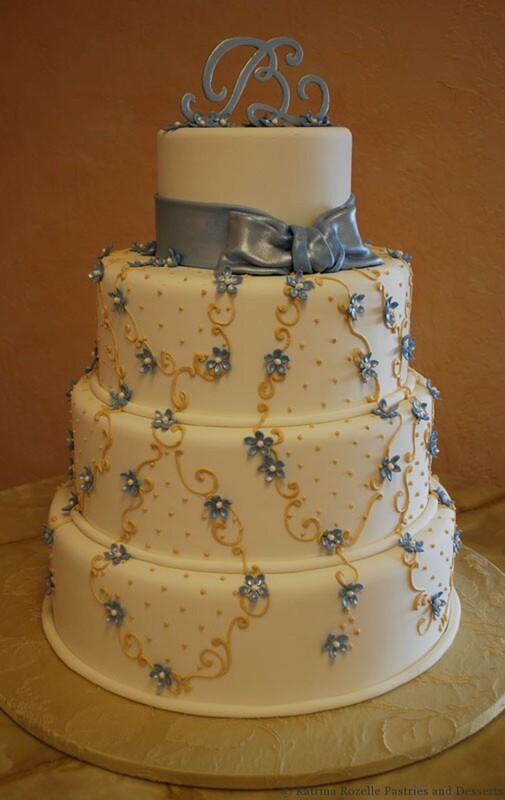 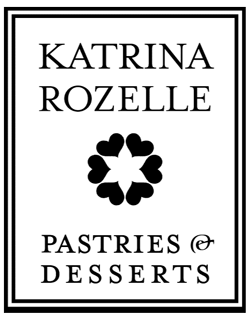 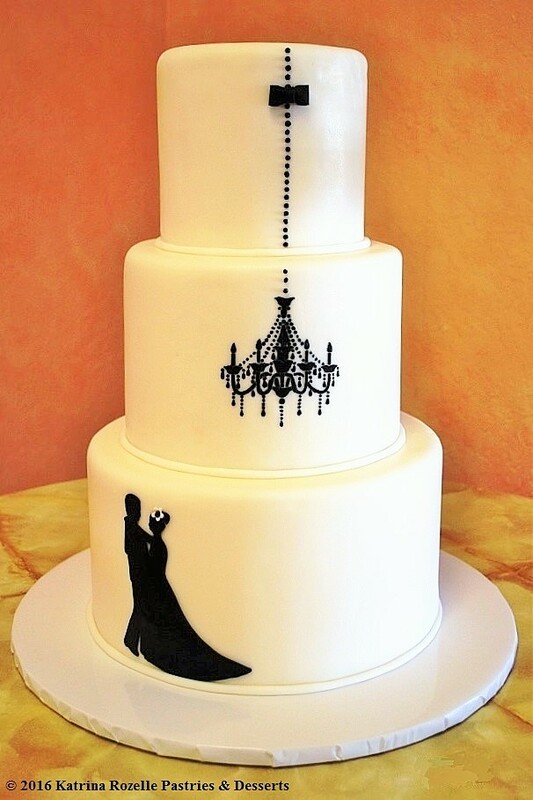 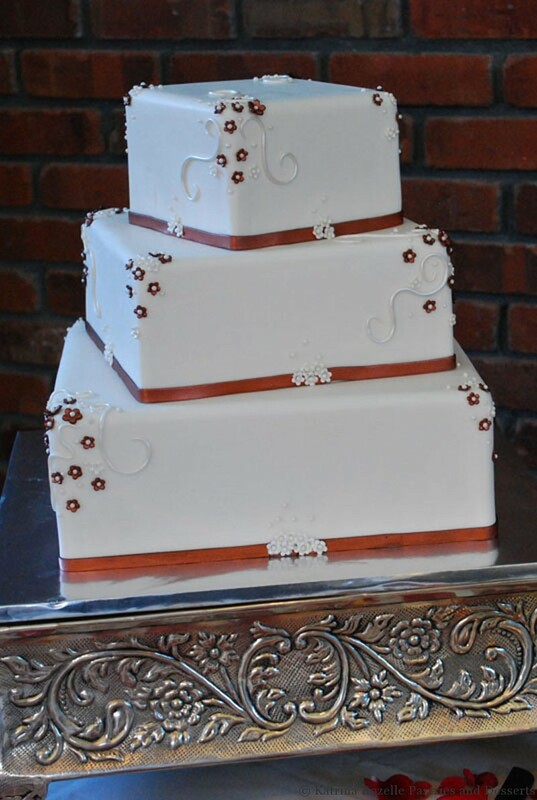 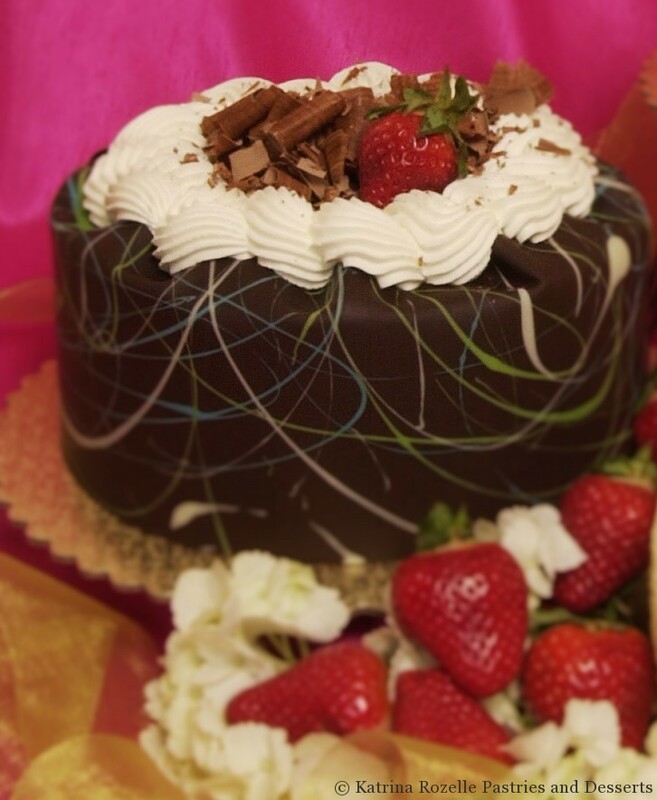 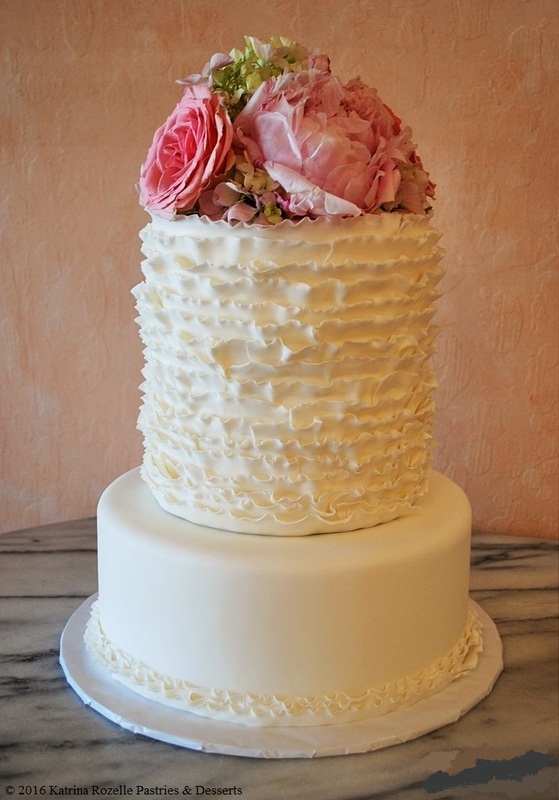 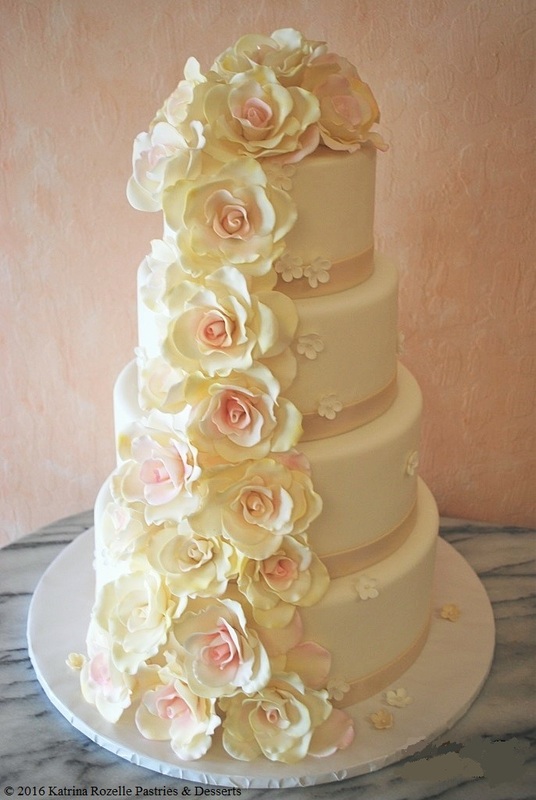 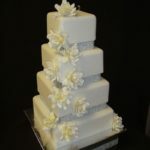 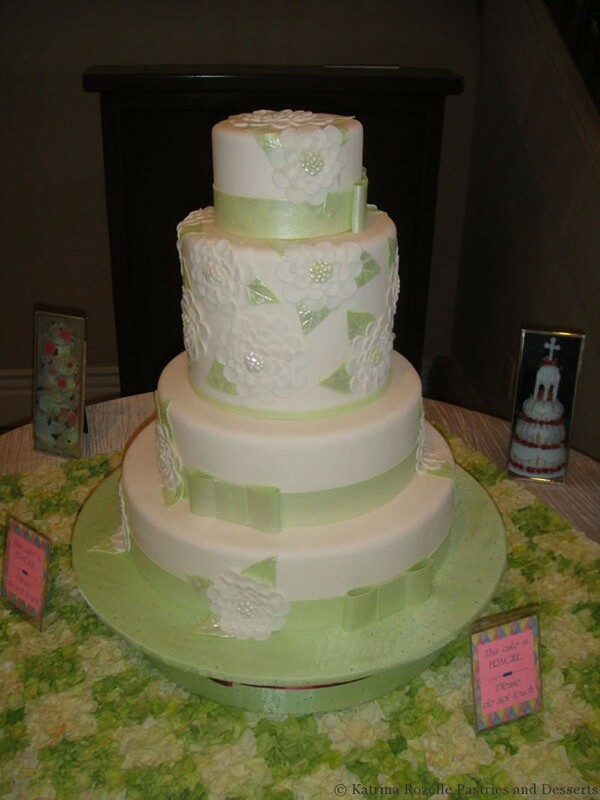 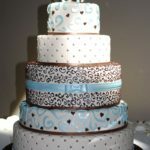 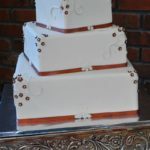 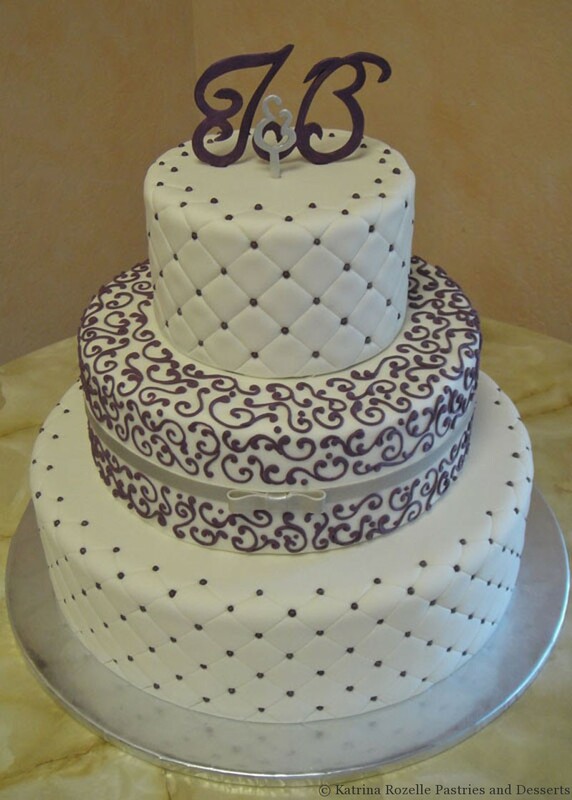 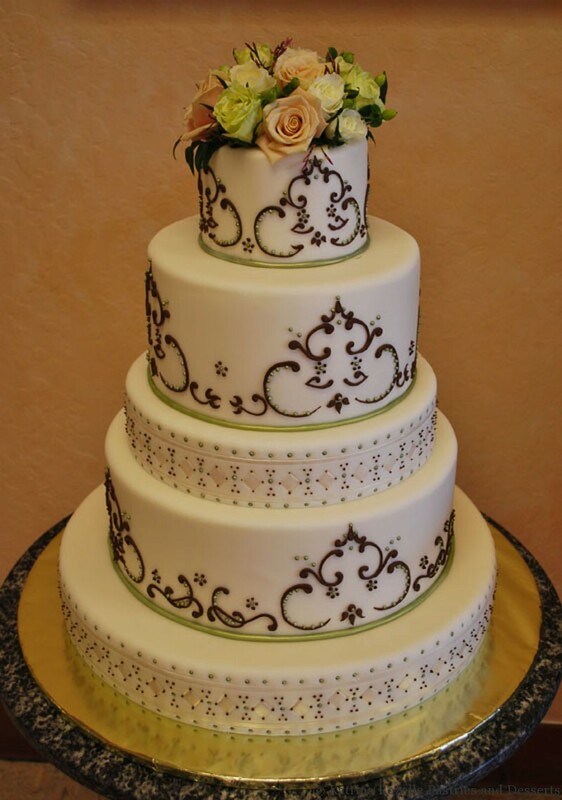 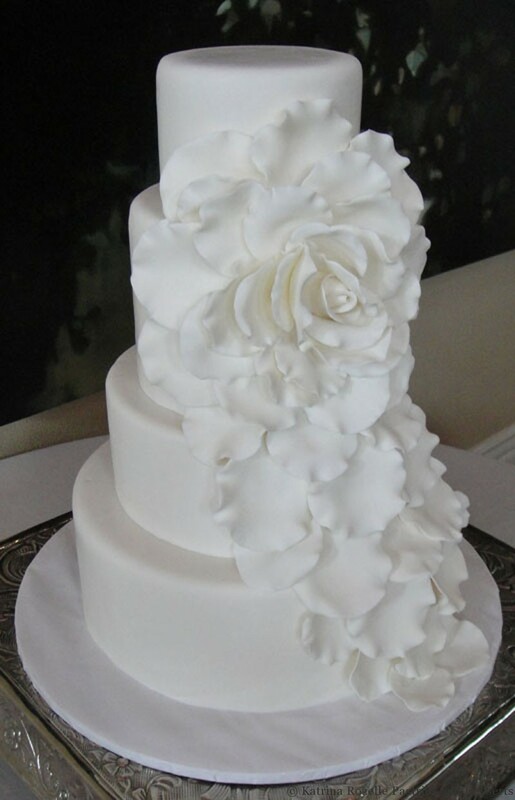 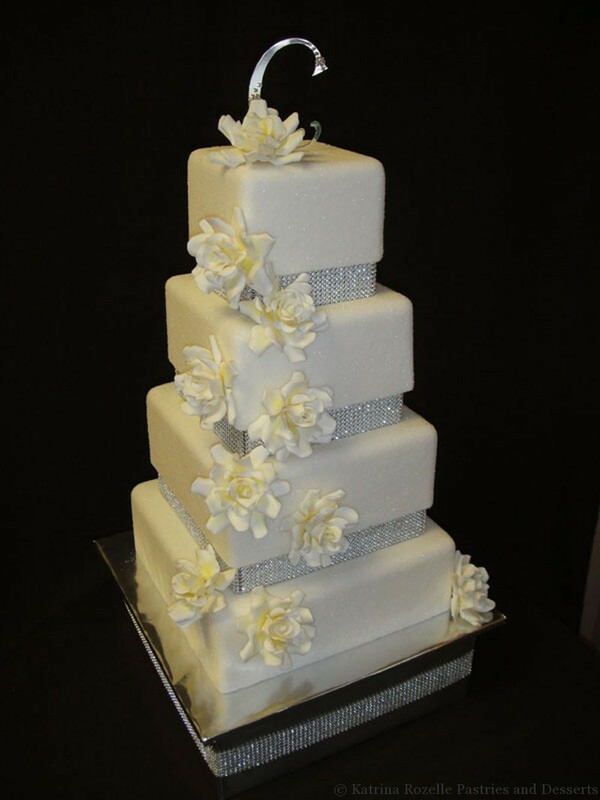 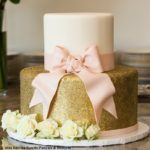 This finish is always applied over a cake that has been smoothed and shaped with buttercream.